Take our expertise in lens mount adapters and add something unexpected: a built-in Variable ND filter. The ND Throttle opens new creative possibilities, like long exposure and shallow depth of field, even in bright conditions. No more carrying around a camera bag full of ND filters. Built-in variable ND means easy and convenient image control over any lens that you attach - even wide angle lenses that don't work with front-mounted variable ND filters. We offer dozens of choices for both mirrorless and DSLR and film cameras. 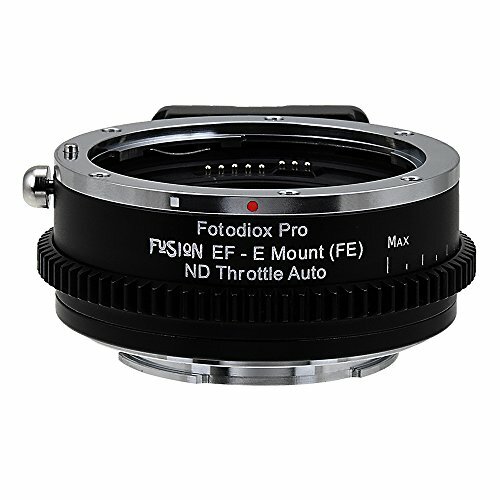 longer focal length lenses tend to have more issues with auto focus with the auto adapter. Auto Focus can be Slow or even not function with varied model lenses and even different lenses of same model. Not all Canon compatible lenses work equally. View More In Lens Accessories.